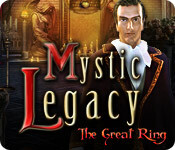 Mystic Legacy: The Great Ring is rated 3.7 out of 5 by 81. Rated 5 out of 5 by crisgori from Good game Nice graphics, well done HOS, interesting puzzles, good length, backtracking and no sparkles (neither HOS) in advanced mode. There are collectibles, too. Very good! Rated 5 out of 5 by AdrianaIP from Good humored romp This is a standard HOG/Adventure game, with reasonable backtracking (and closing of inactive areas) and a goood hint system. What sets it aprt is the humor,, and the unusual treatment of the vampire, who turns up to be the good guy. The settings are pretty enough, and some of the challneges and minigames are new. It is a fun game. Rated 5 out of 5 by klfrr from Fun adventure game I enjoyed the adventure and story. I played the standard edition in the hard level. The sarcastic, tongue-in-cheek comments were refreshing. The puzzles and HOG were not too hard, just right. Using my name throughout was cool. Game would have been better if there was voiceover. Jumping from one room to another on the map seemed to take a bit long to play the animated graphics. 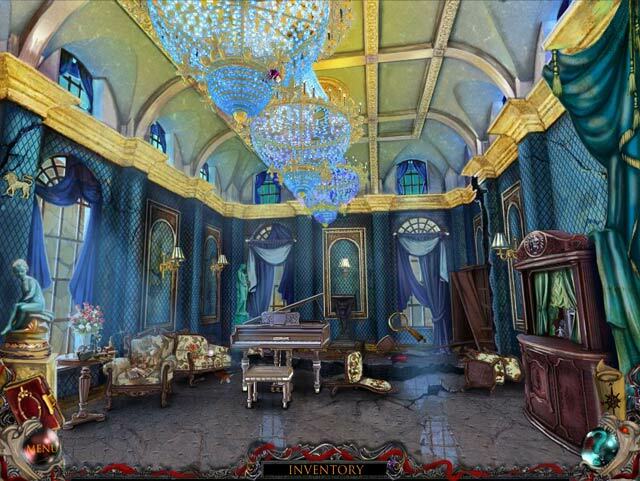 Overall, fun and interesting HOPA. Rated 5 out of 5 by Jem_Jerrica_Guy from So thick I forgot what the original plot was! I was so entranced by all what was happening, I forgot my goal. For Mac, this requires the Lion OS and the speed of the graphics proves it. This is probably why there is no voiceover since this is a non CE. Rated 5 out of 5 by CyndiLouWho2 from Don't Let The Short 30min Demo Fool You! Usually, when a developer offers only a 30 minute trial, it means the game is short. However, I totally got immersed in the story and decided to take a chance on buying this one. Am I ever glad I did!! The storyline is engaging -- I was hooked right away. There are no voiceovers, which would have been nice, but the absence of them does not detract from the game. Graphics are crisp and fit the tone of the game. Music is not irritating which was a plus. Hints recharge quickly as does the Skip button. Minigames are different and some were quite a challenge, but can be skipped if you get too frustrated. There's a map and a journal which are really helpful. But what I loved most about the game, in addition to all the above, was that my name was incorporated into the story and the characters talked directly to me. I thought that was pretty cool. And the fact that my character has a great sense of humor also added to the fun of playing this game. 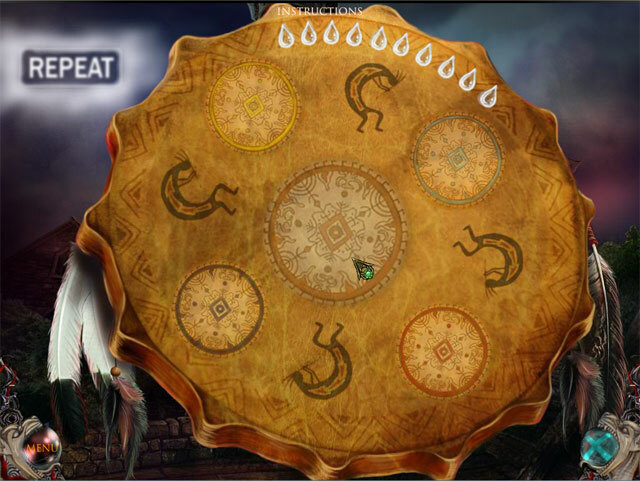 There are two modes of gameplay and if you collect at least 20 lions, you can play the bonus minigame at the end. All in all, a very entertaining game -- I highly recommend it. Rated 5 out of 5 by aleta59 from A not so serious Vampire Amusing. Game is personalized so that your name is shown in text. No VOS. HOS mostly clear, interactive. Puzzles a bit difficult. Interactive map. 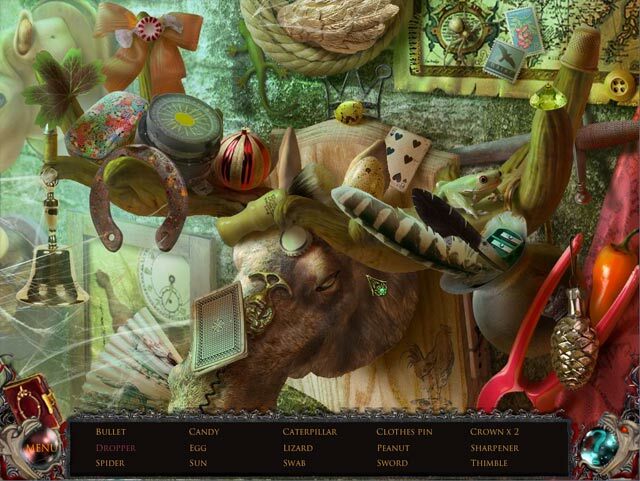 Still needed lots of hints as some things didnt always make sense, like a spool of thread being a puzzle piece....huh. Still, a good game, and decent length: 4.5 hours casual. Rated 5 out of 5 by gumybear57 from This Hungarian LOVED it! Yes, being Hungarian sometimes makes playing these vamp games a little dicey - especially when the whole vamp folklore is so ingrained in us! But I do love them [usually] even though the different spins that the dev's sometimes take makes me laugh! Now, as to the game - I know that some people like to pick apart the games and dissect every little thing - too scary, too easy, too....whatever!! I just go for whichever game has the "fun" factor for me! I absolutely LOVED the dry wit that the dev's have imparted to the character that you play! Right up my alley! Plus, I definitely respond favorably when the game makes the bad thing that happens YOUR fault [even though you had the best intentions!] and now you have to fix it! I didn't have problems with the HO scenes and everything you gather makes sense. There is a large amout of trekking back and forth as after all, you only have the castle and moat to explore. But it's really not taxing as the map is interactive to some spots anyway, and there are A LOT of locked and/or bricked up/inaccessible rooms and hallways to unlock or break into. [joy!] I'm almost to the end of the game and I still love it! Do try at least the demo hour to see if you like it too, but if you just play for fun and not as an experiment in dissection of the dev's shortfalls, you should also find this an amusing little vamp romp!